Zero turn mowers provide flexibility when mowing around landscape items and turns in your lawn. Keeping your zero turn mower running at its best requires replacement of the drive belt every 100 hours of operation. The drive belt becomes worn when grass and debris build up under the deck of the mower. When your mower’s power decreases going up hill or your cutting performance isn’t what you desire, inspect the drive belt, and replace it when necessary. Park the zero turn mower on a flat surface and engage the parking brake. 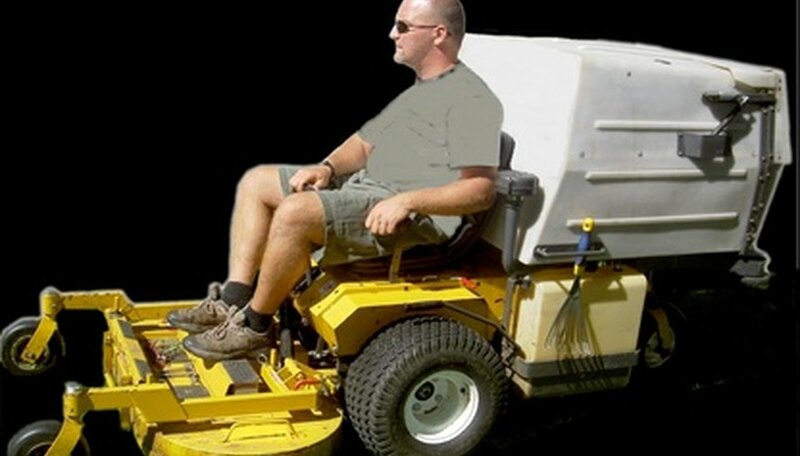 Place the mower deck in the lowest position. Unscrew the bolts from the belt shields with a wrench. Clear away grass and debris from the mower housing. Pull the belt off the cutter housing pulley and remove it from the mower. Place a new belt around the clutch pulley on the engine shaft. Route the belt onto the deck and around the idler pulley. Wrap the belt around the mandrel housing and around the stationary idler pulley. Replace the belt shield and secure with the removed bolts.